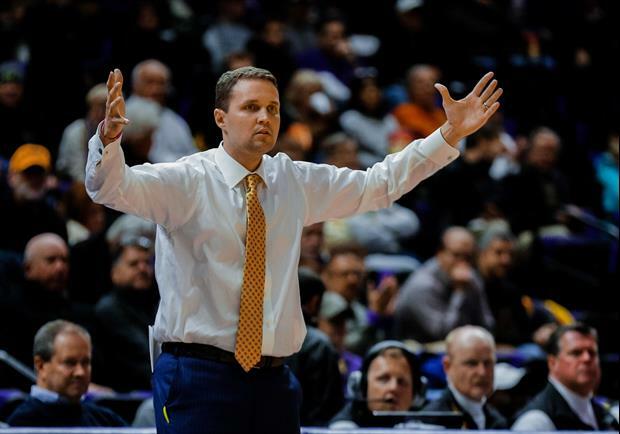 Ross Dellenger with Sports Illustrated has reported that LSU and suspended head coach Will Wade are planning on meeting after a month-long standoff. The news come after Wade hired new lawyer Steven Thompson, who happens to represents Arizona coach Sean Miller and Auburn coach Bruce Pearl. A meeting would put an end to a monthlong standoff between coach and school that has, at times, included public sparring from both sides and outrage from a restless fan base eager to defend its coach. A meeting would be just the first in what could be a multi-step process that would potentially clear him to return. Full cooperation from the coach is imperative throughout what could be a weekslong series of interviews conducted by NCAA investigators and school officials. Read more. My concern if he’s cleared of all this is that he would hold a grudge against Alleva and co. when it came time to keep him long term. If this works out in Coach Wade's favor (not saying it is), he needs to negotiate the firing of the clowns that allowed this to happen! Sweet Bruce Pearl is the Don Juan of college coaches he can talk his way out of a hostage situation. Why doesn't the Nutless Wonder at the top tell the NCAA that "we will talk to our employee without you, then invite you to the next meeting." The NCAA requesting to be at any meeting is not mandatory. An employer has the right to speak with their employee. He hired a DIFFERENT lawyer. Bruce Pearl still hasn't talked to Burnt Admin. Don’t they do those other things all the time? Coach Wade is not like most who would’ve run the first chance they got. He preaches toughness, and his toughness will prevail here and keep him at LSU. We love you, Coach! Stay with us!